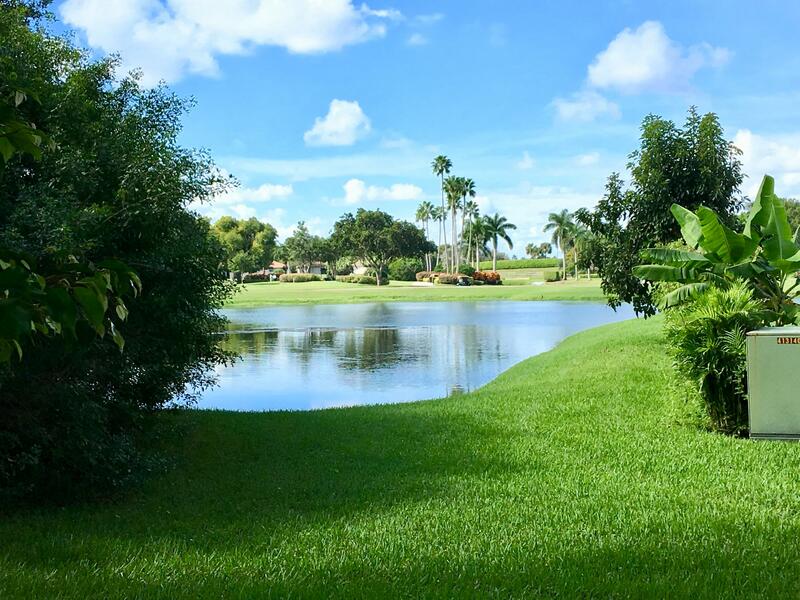 Single family at end of culdesac, with complete privacy and views of canal, lake, and golf course. Beautiful sunsets from air conditioned Florida room. The kitchen was tastefully remodeled with open floor plan design. The flooring is tile throughout, except for 2nd bedroom, which has a rich engineered wood flooring. All bedrooms have custom California closets. The second bedroom has a custom bathroom, made for relaxation. The community is gated and manned. There is a community pool for your enjoyment. Also very important the tile roof is new and has a 10 year warranty, the flat roof has a 5 year warranty. Also for your safety the home has accordion shutters throughout. All reasonable offers will be considered!